Over the year, the club has had record numbers of swimmers entering galas all over the North West, with some excellent results. The Diddy League team, comprising swimmers aged 9-11, swam in three galas against other local clubs. For most of the club’s nine-year-old swimmers this was a good introduction to racing, with a great atmosphere and lots of relay events. The entire team swam brilliantly to reach finals in October for only the second time in the club’s 135-year history. This was a fantastic achievement, made all the more remarkable by the fact the club currently has only one eligible 11-year-old boy swimming. Further success came at the Kendal Mint Gala. Almost 20 swimmers entered and came away with personal best times, county age group qualifying times, medals and lots of fun spot prizes for winning individual heats. Most recently, swimmers travelled to Knowsley to compete and again had great success, swimming against clubs from across the north of England and as far south as Northampton and Lichfield. 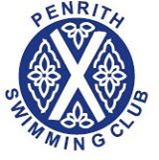 Penrith Swimming Club is grateful to all the volunteers who coach and support the club.